(505) 292-6868 / Click here to email us. 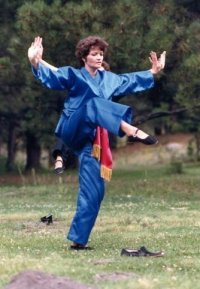 Garuda Tibetan Taichi Studio in Albuquerque, NM invites anyone with an interest in martial arts, physical fitness and conditioning, moving meditation, and Eastern philosophy to join us in a supportive atmosphere of individual training for all levels. Known around the world under many names, (taichi, taiji, tai-chi and sometimes Qigong, qi-gong, Shaolin boxing, etc), this form has many variants but only one original form based on the movement of animals in nature. 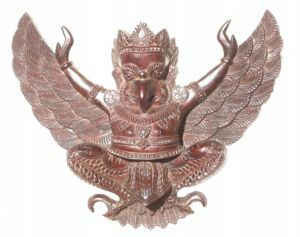 Garuda teaches the oldest known form of tai chi which incorporates precise methods of breathing, weight distribution, energy circulation, and fluidity. Master Liu Siong (Count Willem Reeders) brought this teaching to the west after training from an early age in China. Developed over six centuries ago, Tibetan Taichi is a scientific method of physical and mental conditioning, consisting of a unique series of fluid and synchronized movements performed in slow motion in conjunction with a system of deep breathing. Breath is the basis of Tibetan tai chi, as it is of life. Because this technique involves no straining or jerking, but a slow progressive increase in effort, it is suitable for anyone who wants to improve their health and athletic performance, while increasing their resistance to injury. Only patience and consistency matter. Your level of fitness will not prevent you from beginning and can only improve with practice! Done properly and on a regular basis, Tibetan taichi increases energy and flexibility, normalizes the metabolism, improves muscle tone, and is an effective technique of stress management. Tibetan Tai-Chi consists of four phases and requires time to become proficient in all of the movements. Since each error diminishes the effectiveness of Taichi, the emphasis is on the correctness of each movement. In other words, it is more beneficial to learn a single move correctly than to learn a dozen movements superficially. Garuda's classes are small enough to allow each student to progress at their own rate.